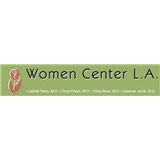 Women Center L.A. (Los Angeles) - Book Appointment Online! OFFERING THE LATEST MINIMALLY INVASIVE TREATMENTS! Have you considered how unique you are? We know and understand how unique you are. With our many years of experience and our specialized training we are able to support women and their families in making an informed decision about their health. Friendly and open, I felt immediately comfortable. Really great explanations and bedside manner. Provided clarity and peace of mind. Very helpful given how opaque a lot of thing are in healthcare.